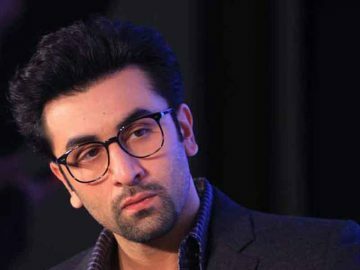 Ranbir Kapoor born 28 September 1982 is an Indian actor and film producer. He is one of the highest-paid actors of Hindi cinema and has featured in Forbes India’s Celebrity 100 list since 2012. Kapoor is the recipient of several awards, including five Filmfare Awards. The son of actors Rishi and Neetu, and the grandson of actor-director Raj, Kapoor pursued filmmaking and method acting at the School of Visual Arts and the Lee Strasberg Theatre and Film Institute, respectively. He subsequently assisted Sanjay Leela Bhansali on the film Black (2005), and made his acting debut with Bhansali’s tragic romance Saawariya (2007), a box office flop. Kapoor rose to prominence with his performances in the coming-of-age film Wake Up Sid (2009), the romantic comedy Ajab Prem Ki Ghazab Kahani (2009), and the drama Rocket Singh: Salesman of the Year (2009). His most widely seen in this period came with the political drama Raajneeti (2010). The romantic drama Rockstar (2011), in which he played a troubled musician, and the comedy drama Barfi! (2012), in which he played a cheerful deaf-and-mute man, earned Kapoor two consecutive Best Actor awards at Filmfare. A starring role opposite Deepika Padukone in the romantic comedy Yeh Jawaani Hai Deewani (2013)—one of the highest-grossing Indian films—established him as a leading Bollywood actor. He followed this with roles in a series of films that did not perform well commercially, with the exception of the romance Ae Dil Hai Mushkil (2016). This changed in 2018 when Kapoor portrayed Sanjay Dutt in Rajkumar Hirani’s biopic Sanju, which ranks as his highest-grossing release.